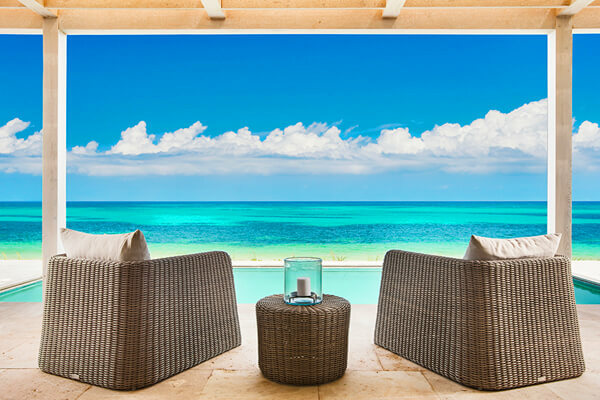 These are the 183 most popular villa rentals in Turks and Caicos. Narrow your search above. 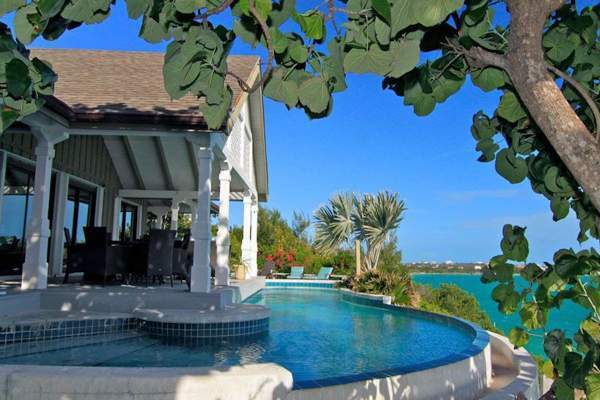 Looking to rent a villa in Turks and Caicos? 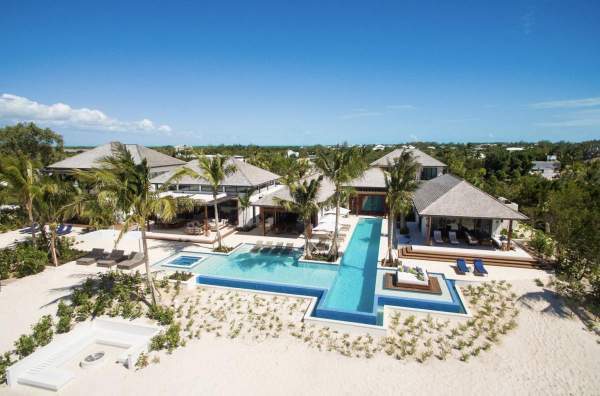 If you’re after a big dose of unspoiled beach, then a Turks and Caicos villa is exactly what you need. 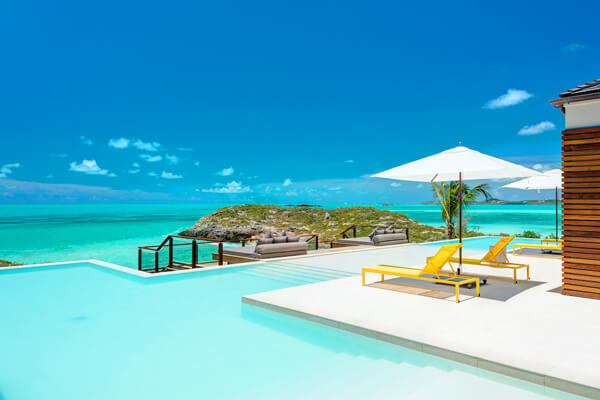 These islands (primarily Providenciales, a.k.a. Provo) are known for their beachfront beauty, making them ideal for vacationers who want peace and quiet on the sand by day, with great food in the evenings at the many fantastic restaurants. The island on the north side is dominated by Grace Bay, a 12 mile beach lovers’ paradise. 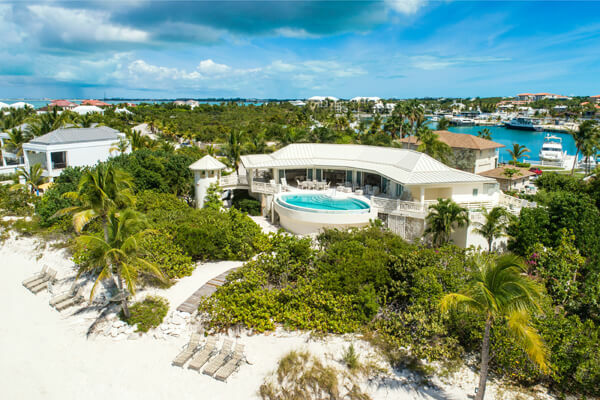 We have a large selection of beachfront villas along Grace Bay, from the high end Turtle Breeze villa suited to corporate retreats to the comfortable and reasonably priced Sandstone beach house. The southern side of the island has a selection of small protected beaches with no hotels to be found - or anything else really - other than the natural beauty of the beach and private homes dotted here and there. 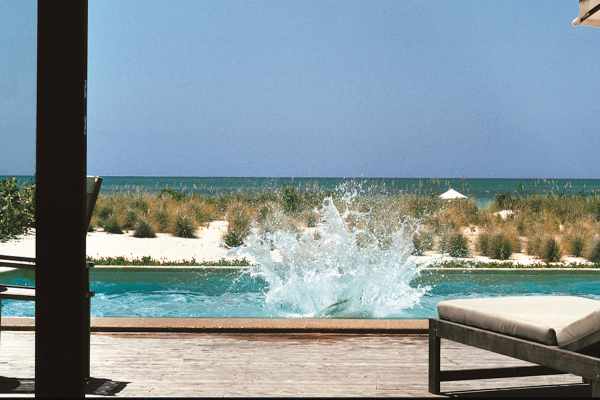 Turks and Caicos is for those that want to have a more secluded experience. Don’t worry, no matter what villa you choose, you can drive the length of the island in 20 minutes so you are never too far away from anything. What's special about Turks and Caicos? This grouping of pristine islands and cays offers visitors a glimpse of untouched Caribbean paradise. Here, the white sand is fine, the water is warm and blue, vegetation is purely tropical, and people are sparse. 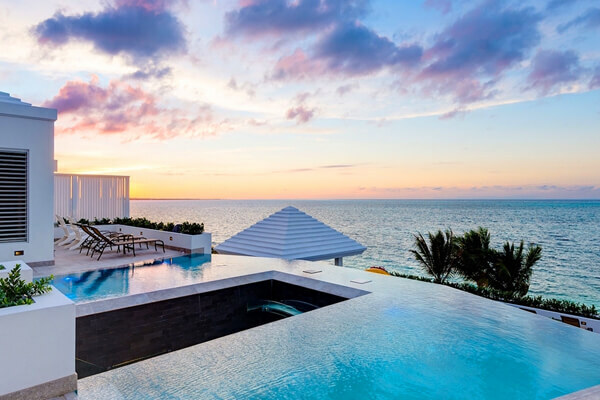 Turks and Caicos is best known for its unspoiled beauty and relative seclusion among the Caribbean islands, and this is what draws the visitors that it receives each year. 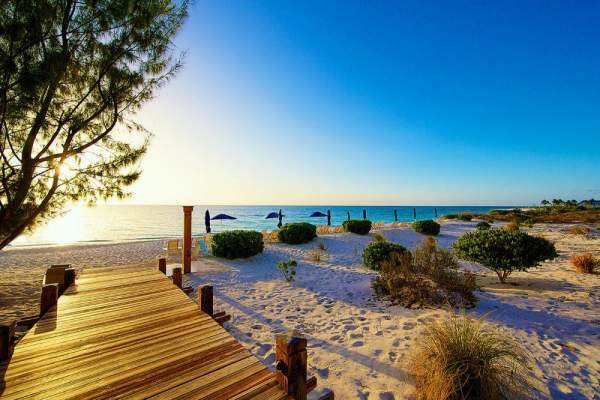 Turks and Caicos is a great choice for people who enjoy outdoor activities. Because the islands are more secluded and off the radar than other Caribbean destinations, there are a lot of undeveloped areas. Hiking is a popular way to explore the islands and take in the natural beauty on land, and diving and snorkeling are huge here too due to the clarity of the water. In the late winter and early spring, whale watchers gather to see humpbacks migrate. The Conch Bar Caves are another place to visit, and touring these limestone wonders is unforgettable. 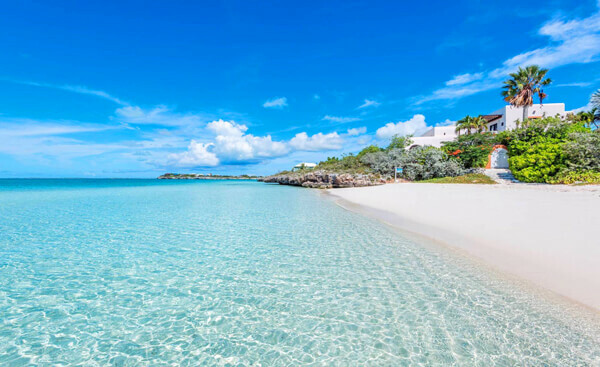 Providenciales is the most developed island in the group, where you can find incredible beaches with crystal clear water. In fact, the island is frequently voted the “best beach destination”. Provo, as it is called, is best known for its superb diving opportunities, as there are miles of reefs along the coast. There are numerous villas for rent on the island, allowing visitors to make themselves at home and giving them lots of privacy. 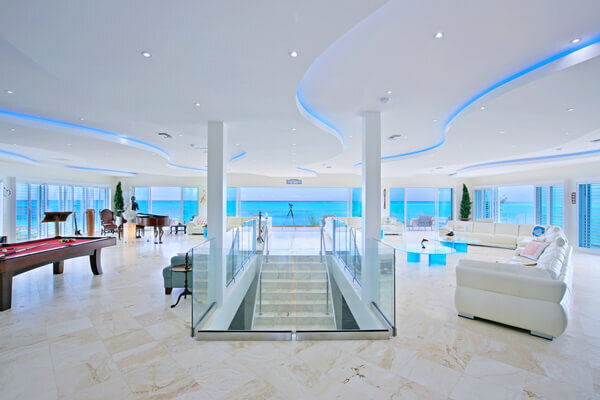 Resort hotels can also be found, and these are great for travelers who appreciate the services of hotel staff and concierge. 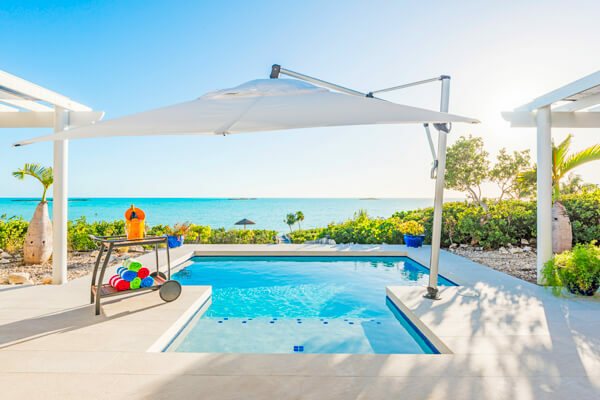 If you’re after a great beach vacation in the Caribbean that is guaranteed to be relaxing, then Turks and Caicos is the ideal destination. Here you can enjoy life at a slower pace and in a laid-back style, whether you’re lounging at the beach or island hopping and doing some sightseeing and exploring. Private villas, a hotel, or a resort are available for you to stay in, but you’ll never get the sense that the islands are overcrowded or too developed. Turks and Caicos is truly one of one of the last Caribbean gems that give you a peek at untouched natural beauty.